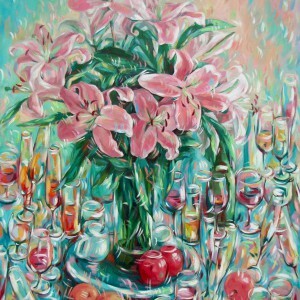 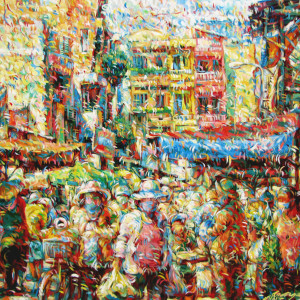 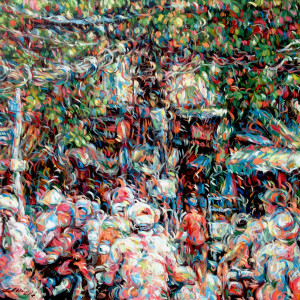 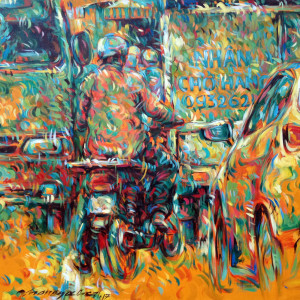 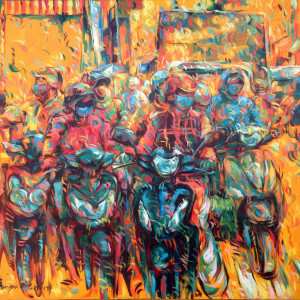 This beautiful composition by contemporary Asian artist Tran Ngoc Duc has been done in the painter’s signature style. 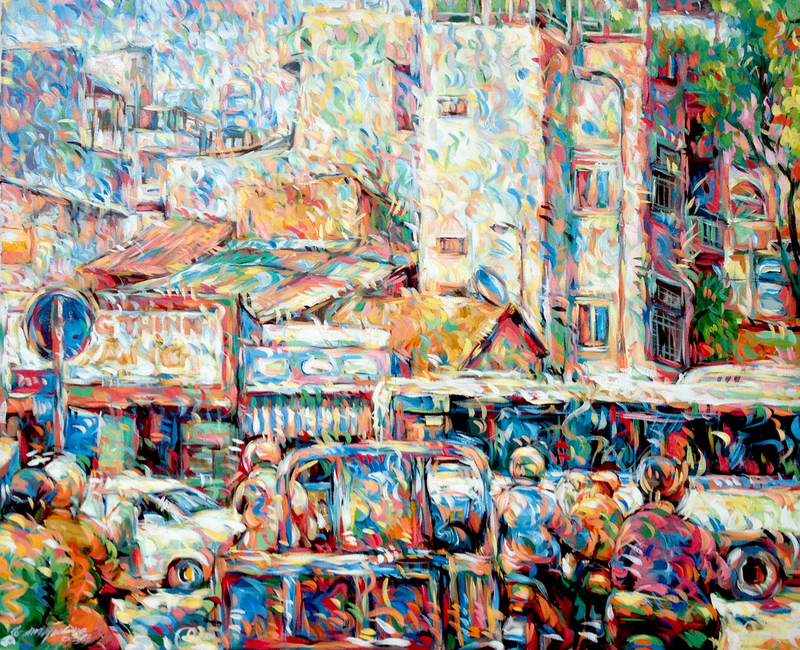 This painting depicts a busy street corner bathed in sunlight. 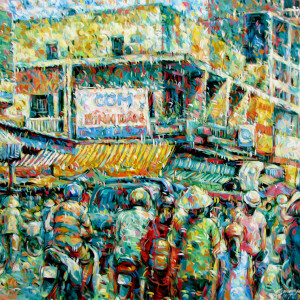 The painter forces us to take a closer look at the composition by painting this familiar urban scene in unusual colors and covering the composition with curved brush strokes.